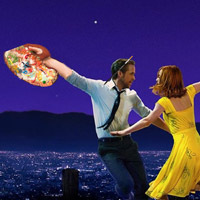 I was watching the superb La La Land the other day which I must admit, didn’t resonate as much with me the first time around. I missed the main reason why it had such a powerful effect on millions: its excellent portrayal of following one ‘s dreams. One of the hardest sacrifices anyone will make in their lives is to follow their ambitions even when the world seems to be screaming ‘No!” at them. We never know where our paths will take us, and the lessons we’ll learn thereon, but life is about living and learning through pain and hard work, not necessarily about safe choices. Take it from someone who has tried and tried again so many times to reach the successes they so badly wanted. I could never have imagined the riches I’d have now having ‘failed’ at many of those pursuits. It’s for this reason that I so admire the artists I work with. They are living their own journey, loves, pains and sacrifices. Giving 100% to everything they do for relatively so little financial compensation. This isn’t a sob story. It’s a celebration of an artist’s dedication to their craft and although some, like me, will end up in a completely different destination than they started out towards, the sacrifices will be just as real and the lessons as important. I take my hat off to anyone who sets out on a path with enthusiasm and dedication whist giving everything they have for what they most desire. It’s admirable, powerfully attractive and, I believe, will hold the key to their eventual ‘success’, however that is manifested. Right, no time to dally, so much to get through this month, kicking off with a fabulous new artist to join THG’s sublime stable! 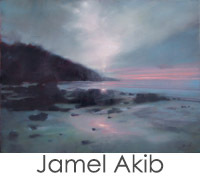 Jamel Akib I have been working with on our sister site, BritishContemporary.art and as he agreed to paint some Cornish scenes for us, I was delighted to have him join team THG! 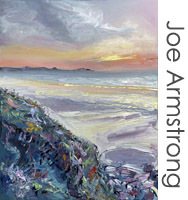 A fabulous painter and some cracking pieces already and on the easel for us as I write. Welcome, sir! As for now work, we have a huge glut of painfully beautiful work for you to drool over. 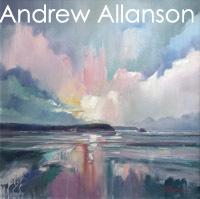 Kicking off with Andrew Allanson and Ann Kelly who came down together with some astonishing newbies, so much so, a couple of Andrew’s sold within minutes of going live, so before he left the county, I had to drag him back for more to replace them! 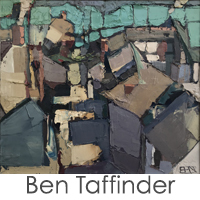 Both of our impasto princes, Ben Taffinder & Joe Armstrong came in with two new works each last week and stunners they are too. If you move fast, you might just be able to grab yourself one of those corkers! 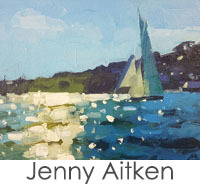 The lovely Jenny Aitken popped in over the weekend to drop in 6… yes SIX gorgeous paintings, fresh off her too-hot-to-handle easel. You can see why she’s got her own feature in the UK’s biggest The Artist magazine (alongside yours truly)! 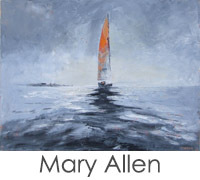 Mary Allen dropped in three crackers last week as well so if you like something tranquil and calming, you need look no further than her page. 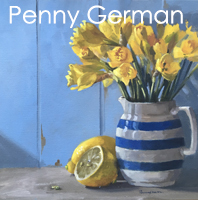 The Hig (aka Stephen Higton) has continued adding to his spring collection with a few stonkers that are worth ‘aving a butchers at and lastly, just as I’m finishing up, Robin Mason & Penny German email me some beautiful new works. 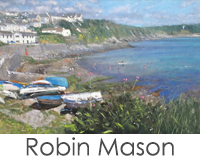 Robin‘s paintings of Portscatho are second to none and as for Penny‘s still lives… you’re gonna die for these Cornishware series! And to finish up, if you’re a painter, know an artist or would just like some advice on how to run a good social media feed as a business, you may like to order my book, The Artist’s Handbook, which will be released in May. 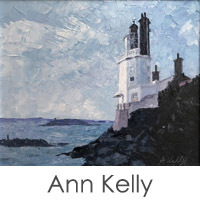 It’s inspired by the 14 articles I was commissioned to write for The Artist magazine and will cover artist/gallery relationships and digital marketing. You can pre-order your kindle copy on Amazon and paperback copy here (where there’s also a chapter preview to read). Have a wonderful March everyone and adios for now, amigos! 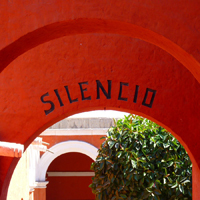 I was chatting to one of our customers the other day about the importance of silence; especially in this hectic world of ours. I am one of the worst advocates of this as I’m always ‘doing’ something, filling my time with work, but after a rather horrendous panic attack last year, I am now trying to find it more often. There are several great books on the subject by Buddhist Thich Nhat Hanh, author George Prochnik and explorer Erling Kagge to name but a few, as well as many Apps like Headspace and Calm – although the apps might seem an oxymoron, they did help me in that moment of need last year… read more. 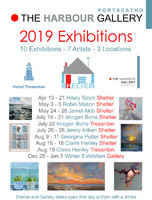 The Harbour Gallery Ltd Copyright 2018 All rights reserved. Copying of any works on this site is strictly forbidden. Your email address won't be shared by 3rd parties and we generally only send one email on 1st every month... honest, guv!